Petersen says Jake Browning "did some really nice things" against North Dakota. There was a lot to like about Jake Haener’s debut for the Huskies on Saturday. 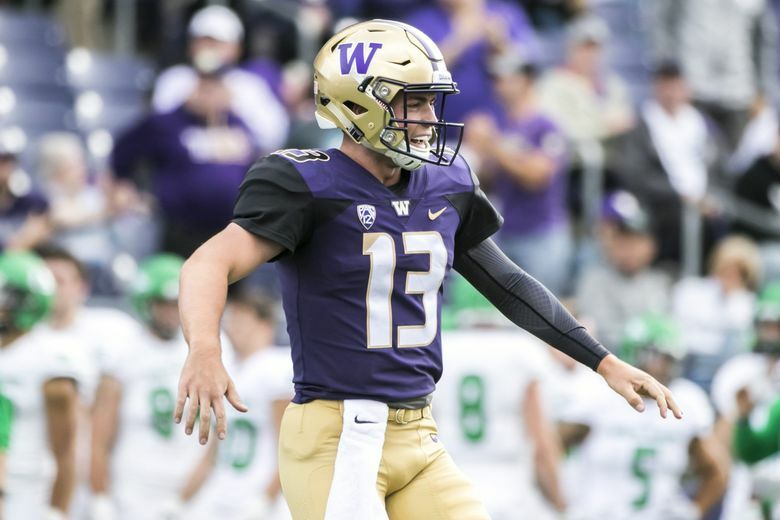 In mop-up duty of Washington’s blowout victory over North Dakota, the redshirt freshman quarterback completed all seven of his pass attempts in the fourth quarter, throwing for 110 yards, including a 12-yard touchdown pass to Ty Jones. And yet Petersen did caution folks not to get too carried away with one truncated performance against a second-team defense of a lower-division opponent. Senior QB Jake Browning finished 23-of-37 for 313 yards with two touchdowns and two interceptions against North Dakota. He called it a “subpar” performance after the game. On Monday, Petersen said Browning “did some really nice things” against North Dakota.